Win Christmas this year, with custom jewelry designed just for her! I know, I know. Nobody wants to think about the holidays yet - certainly not me! But the fact is that they're coming. And that a truly personal gift can take time - time to think about, time to design, and, most of all, time to create. And, with the "creation" part of Sundrop Jewelry so dependent on the weather, we have to start early to be sure a spate of cloudy weather doesn't prevent your perfect gift from being ready to give - on time! For inspiration, take a look at my Custom Jewelry Design page. Then come back and tell me - what colors does she love? Is she allergic to anything but solid gold? Is there an existing design that you think would be perfect with a couple tweaks? Or are you ready to start from scratch and have me design something completely new? Anything goes! Lyra Earrings with glass drops made from Coca-Cola bottles and finished in gold. 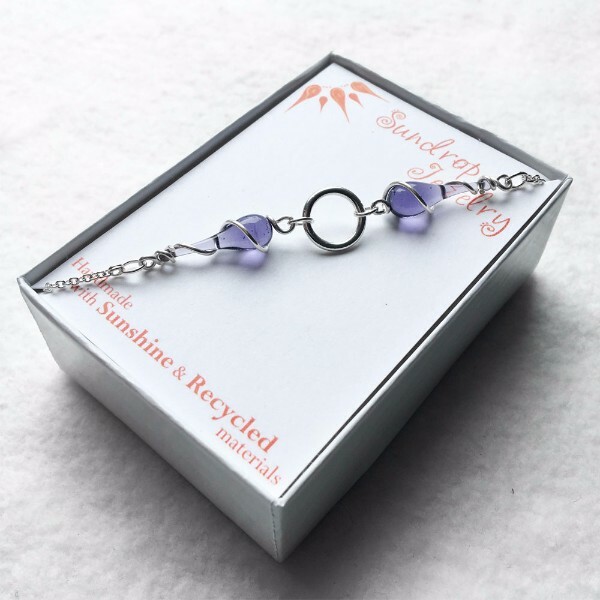 Libra Bracelet in clear lilac glass. 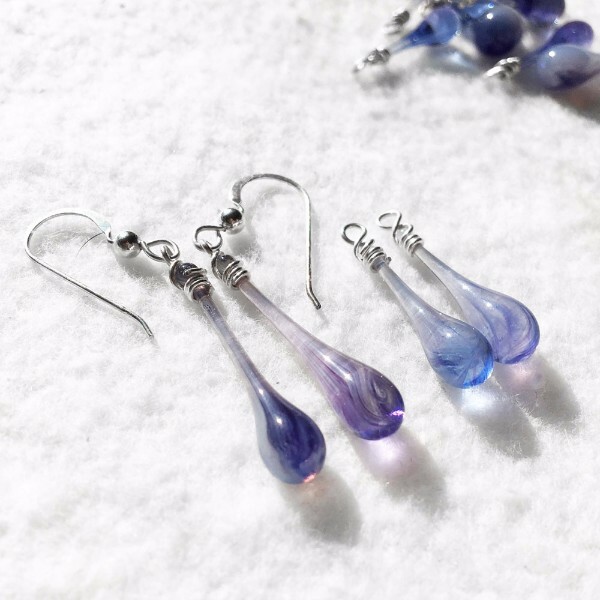 Solaris Earrings in drops of swirling purple. Ready to get to work on your custom design ideas? Just contact me and we can start planning how you'll win Christmas this year!